James points out this is lacking in the church in Jerusalem. It’s not an issue of no prayers, it is an issue with the nature and content of their request to the Almighty. Warren Wiersbe describes their prayer life and sadly peeks into our prayer closets. Because these members desired the wrong things, they could not ask God for the right things. People’s wrong motives led them to ask God for the wrong things, they were not receiving anything from God. “You do not have because you do not ask,” James says. This was not only a terrible indictment of the Jerusalem Church, but it is also a terrible indictment of us. Ever wonder why does God not answer our prayers? The reason: When we come to God superficially seeking his glory, and we end up seeking our own, offering as our pleas those things that will make life more comfortable and convenient for us. That posture in prayer is rejected. The heart of what is causing fighting in the church is we are selfish and self-centered. Satan loves to have us focus on ourselves and our wants and needs. Dwight Moody says, “God sends no one away empty except those who are full of themselves.” The church needs to unite around prayer. Prayer for the mission of God, the advancement of the Gospel into the hearts and lives of the communities we are called to serve. And for the upbuilding of the saints and sinners under our care. Wiersbe, W. W. (1996). The Bible exposition commentary(Vol. 2, p. 368). Wheaton, IL: Victor Books. ← Worship: The What and Why? This is a great observation Keith. Keep them coming. Reblogged this on Brandon J. Adams. Wow, I love that Moody quote. 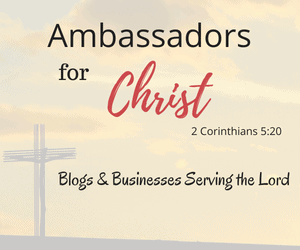 I’m so thankful to be receiving such positive encouragement through the blogging community. This is the second post I’ve read about prayer today, so I’m convicted to go to the Lord more often in a humble posture of prayer. Those who wear the name of Jesus who want for themselves should remember that Jesus “wanted” for us sinners to come home more than he wanted to be in heaven! Amen. Our prayers must be in line with his will, who desires that we put others’ needs ahead of our own. I love the Moody quote. Great stuff as always! Our churches need prayer more than ever. The Moody quote touched my heart. Thank you for this really important reminder.